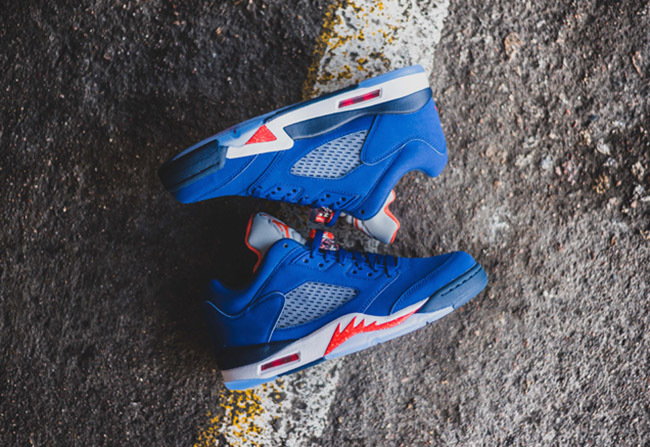 The Air Jordan 5 Low ‘Cavs’ celebrates Michael Jordan’s iconic performance during the 1989-1990 season when he dropped 69 points against the Cleveland Cavaliers. 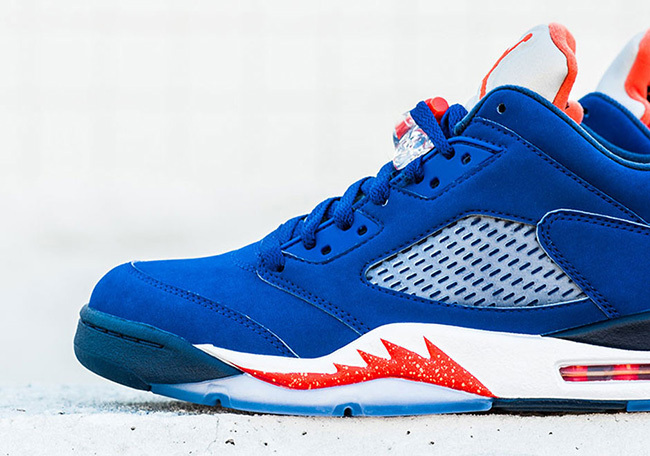 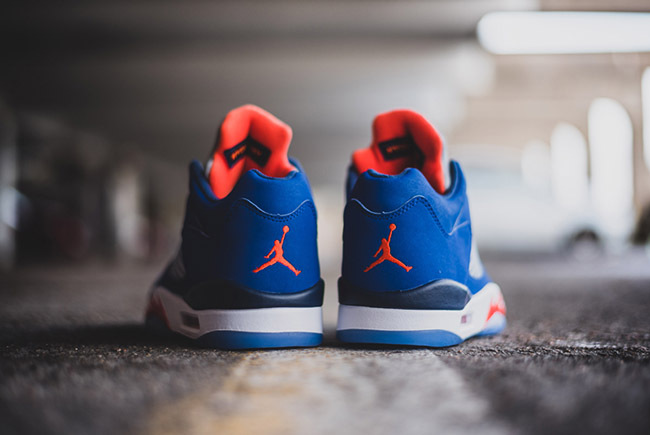 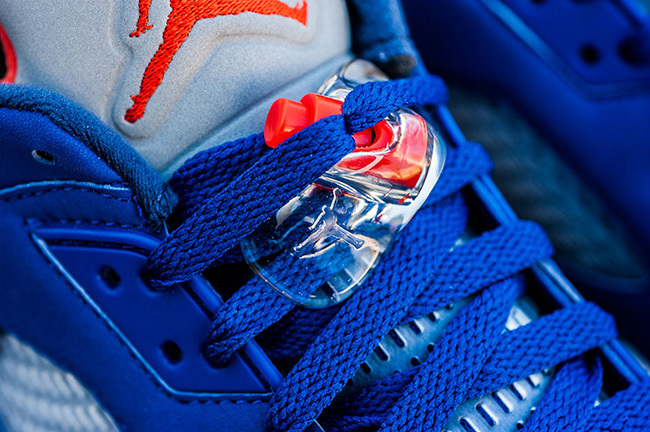 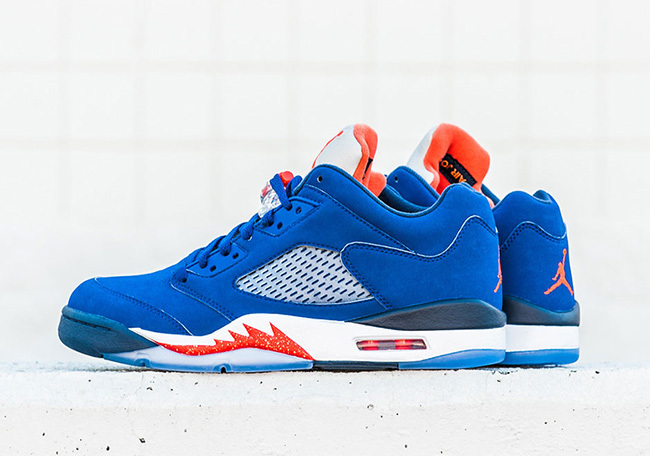 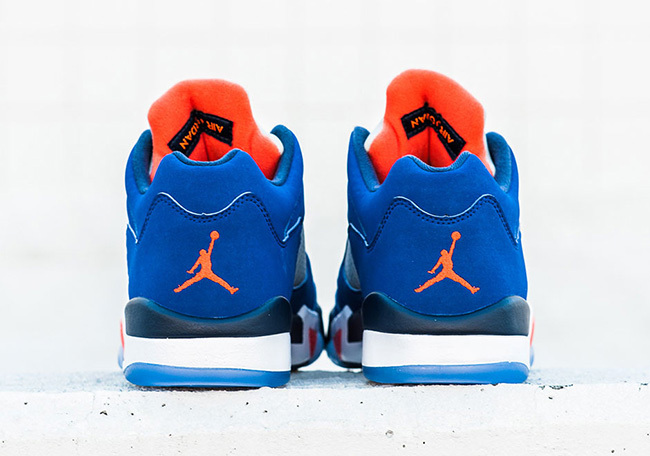 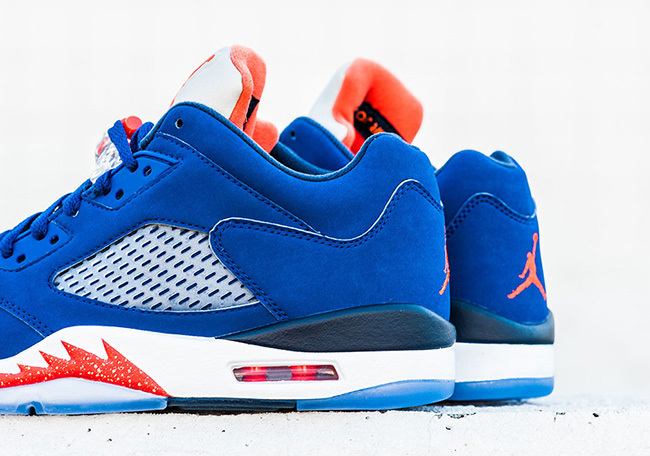 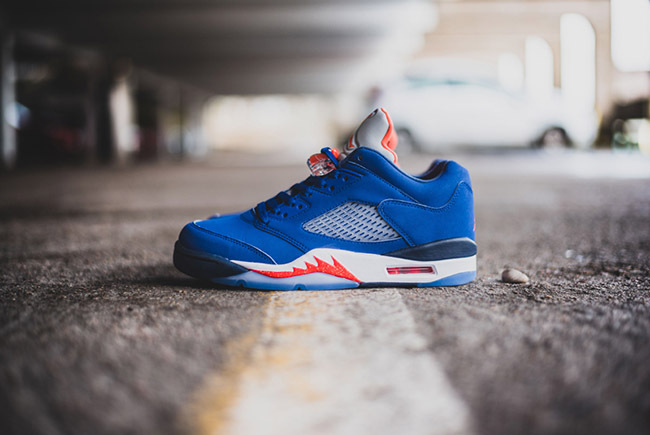 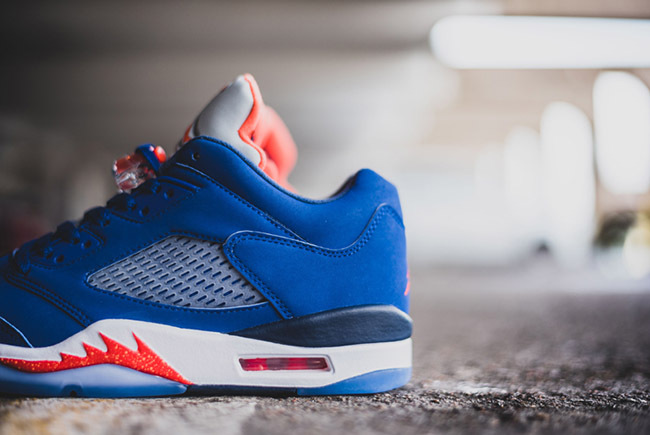 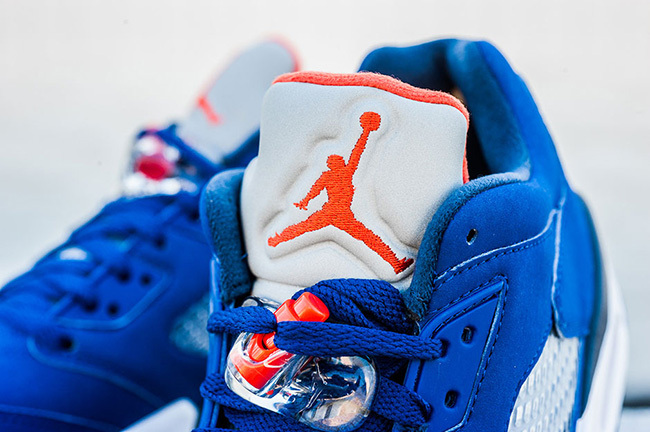 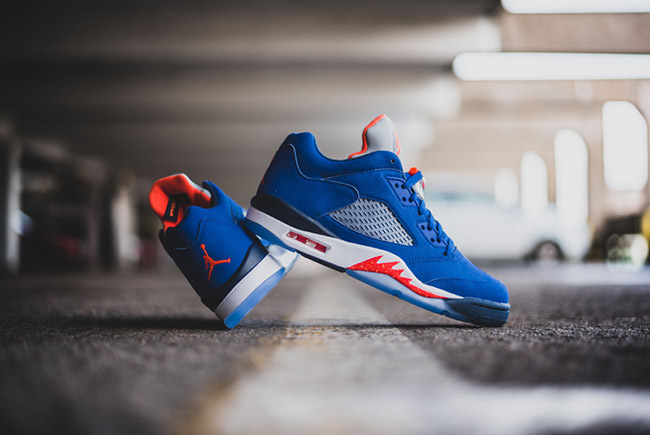 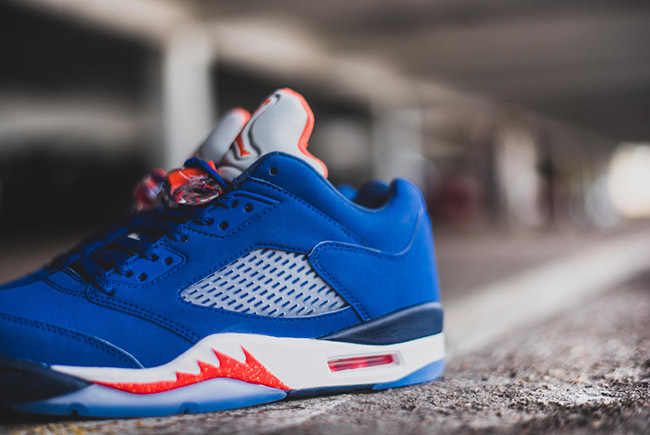 Many of us had thought this Air Jordan 5 Low was inspired by the New York Knicks and it makes sense as the colors match up and Michael Jordan had a lot of highlight reels against the team. 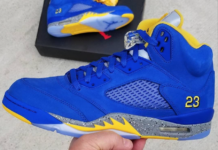 However Nike has cleared the air and stated this pair is inspired by dropping 69 points against old arch nemesis. 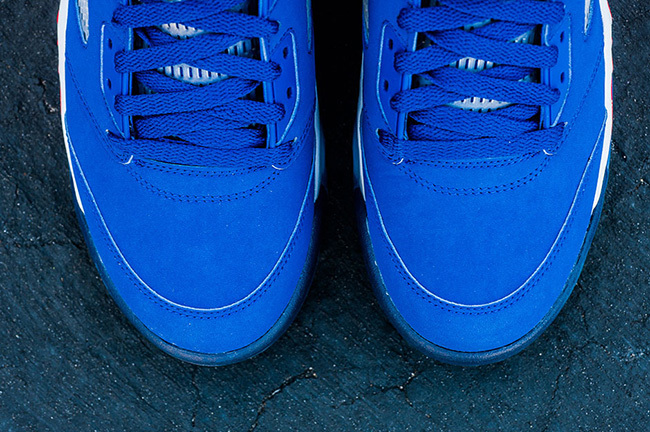 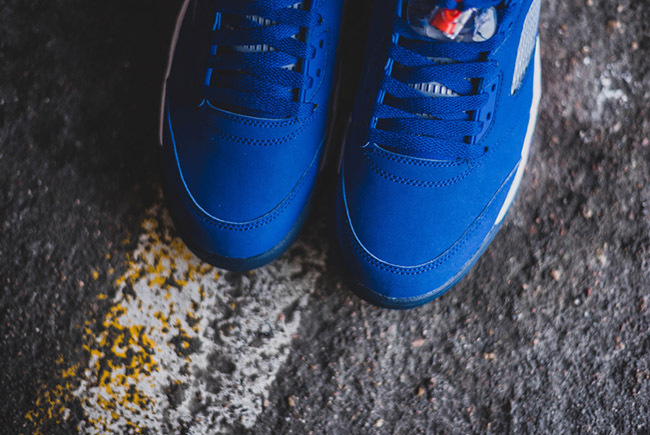 Deep Royal Blue covers the uppers while constructed with nubuck while a combination of Atomic Orange and Team Orange land on the teeth, inside the air unit, Jumpman and inside of the tongue. 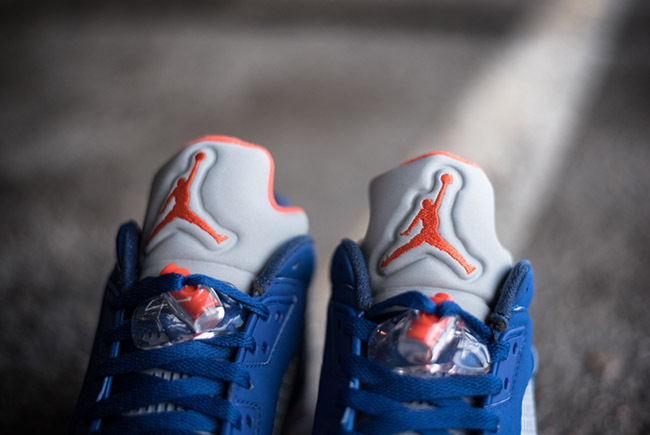 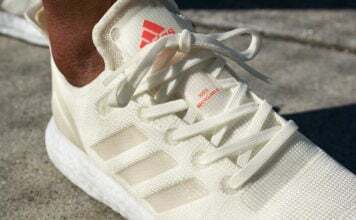 Other details include a 3M reflective tongue, White midsole and translucent icy sole. 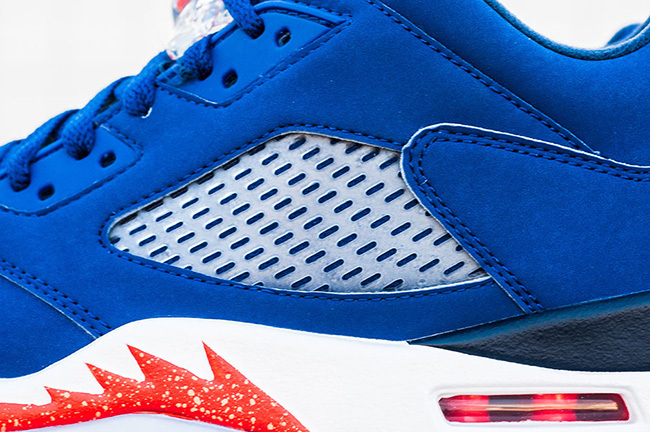 The ‘Cavs’ Air Jordan 5 Low will release on March 28th, 2016 which celebrates the milestone in Michael Jordan’s career 26 years later. 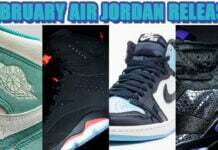 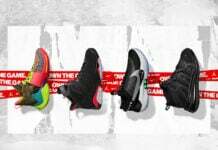 Retail price will be $175 and all Jordan Brand accounts will have them including Sneaker Politics. 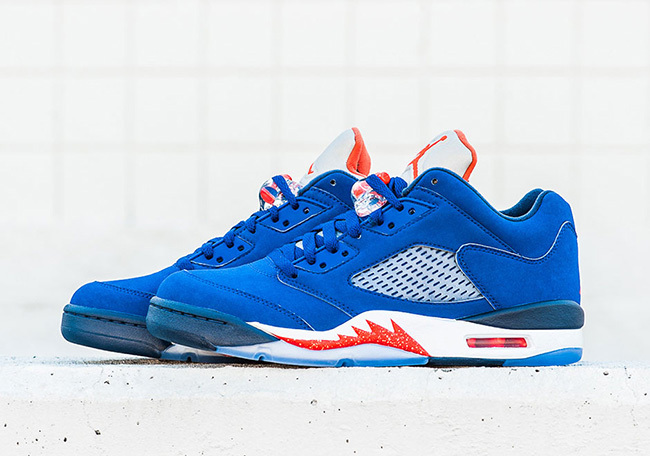 Update: The ‘Cavs’ Air Jordan 5 Low will land at Jordan Brand accounts tomorrow like Hanon.